Aston Martin Ltd. - British manufacturer of exclusive sports cars. At the root of the brand stood by Lionel Martin and Robert Bamford. Headquartered in Gaydon, Warwickshire. Company name is derived from the Aston Clinton hill, where one of the founders, Lionel Martin won in 1913, winning the Singer-10. Since 1994, he was part of the Premier Automotive Group - division Ford Motor Company, but in August 2006, Ford has published the intention to sell the company Aston Martin. In the II quarter of 2007, Ford Motor Company has sold Aston Martin to a consortium of investors led by the owner of Prodrive, a longtime fan and collector cars Aston Martin, David Richards. The deal amounted to $ 925 million. In December 2012 private equity fund Investindustrial has invested in the company 120 million pounds in exchange for a 37.5% stake. In 2013, Aston Martin has signed an agreement on strategic partnership with German automaker Daimler AG, the agreement provides for the joint development of the new V8 engine and help in creating a car Aston Martin next generation. In 2007 the production volume amounted to 7224 cars, almost unchanged compared with 2006. The company is famous for the fact that most of the models are made by hand. Every Aston Martin has a bronze plaque on which is written the name of the person who made and is responsible for a specific instance. The company Aston Martin was founded in 1913 by Lionel Martin and Robert Bamford. Initially, the founders combined their efforts as "Bamford & Martin". The first car, named Aston Martin was founded in March 1915 by Martin, who set a 1.4-liter four-cylinder Coventry-Simplex on the chassis of the 1908 "Isotta-Fraschini." Mass production has prevented the First World War. During the war, the company produced more than 14 machines per year. All the machines were sold to airlines Sopwith (Sopwith Aviation Company). After World War Bamford rented the former stables on Abington Road where five years later there was a second model of Aston Martin. After World War II, in 1947, the company was purchased by David Brown Limited, which is headed by industrialist and a longtime fan of the brand David Brown. It was he who said to the designation of the initials DB models. Together with the company Aston Martin, David Brown bought the company Lagonda. The combined company was renamed Aston Martin Lagonda Limited. The main dream of many owners of the company Aston Martin, including David Brown, was to win in one of the most popular races of the time - 24 hours of Le Mans. It was David Brown in 1959 was able to achieve victory. The Company continued to experience financial difficulties and in 1972 was sold to a consortium located in Birmingham Kampani Development Limited (Eng. Company Development Ltd.). In 1975 the company was re-sold to North American businessmen Peter Spragyu and George Minden. The new owners have equipped the modern factory line for the production V8 Vantage cars in 1977, replaced in 1978 and the Volante Bulldog in 1980. However, the company continued to experience financial difficulties. In 1987, another owner of Aston Martin became the American concern Ford, who bought 75% stake in the firm. In 1988, producing about 5,000 cars in 20 years, the company finally finished the production of V8 and provided Virage. 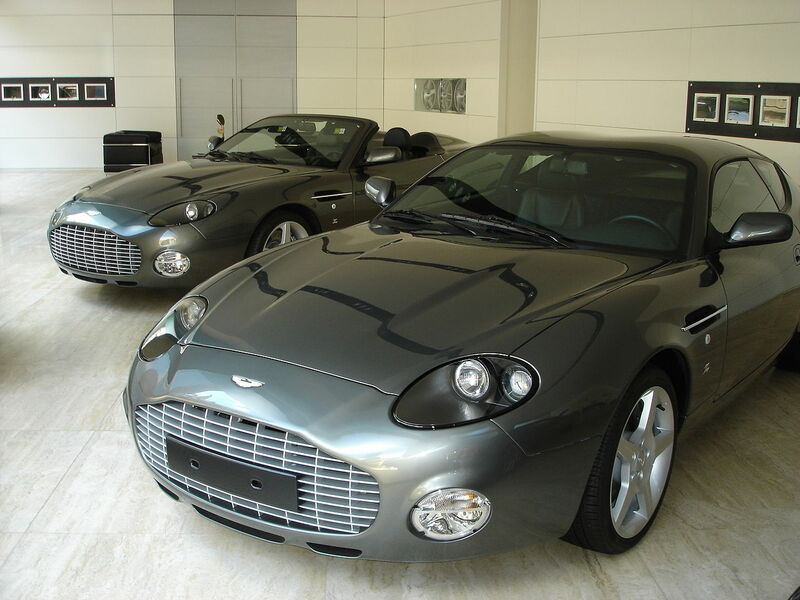 In 1992 Vantage version was announced, and the following year the company renewed the DB series, announcing the DB7 started. In 1993, Ford has full control of the company Aston Martin and passes it to the Premier Automotive Group. At this time, there are significant investments in production facilities. In 1994, Ford opened a new factory at Banbury Road in Bloxham. 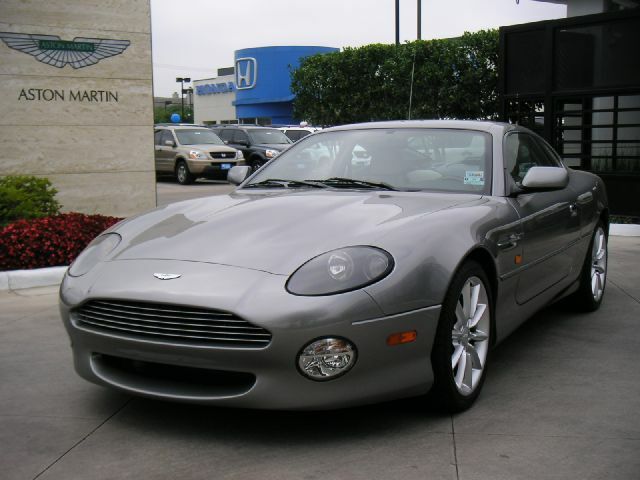 In 1995 the company produced 700 cars, two thousand DB7 was built in 1998, and in 2002 - six thousandth. At the International Motor Show in Detroit in 2003. 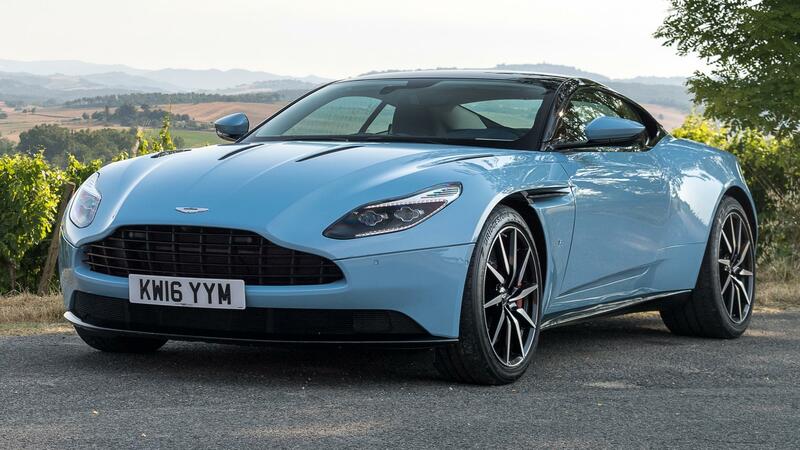 The beginning of the production of an heir DB7 - DB9 model was announced another new model Aston Martin AMV8 Vantage. Also in Gaydon factory was opened in 2003. In December 2003, Aston Martin announced a return to motor racing in 2005. Especially for this new division was created Aston Martin Racing (Eng. Aston Martin Racing), which was subsequently merged with the company Prodrive (Eng. Prodrive) to implement DBR9 program. DBR9 took part in a car race in the class of Gran Turismo (GT), including the 24 Hours of Le Mans (in which she won in 2007 and 2008). 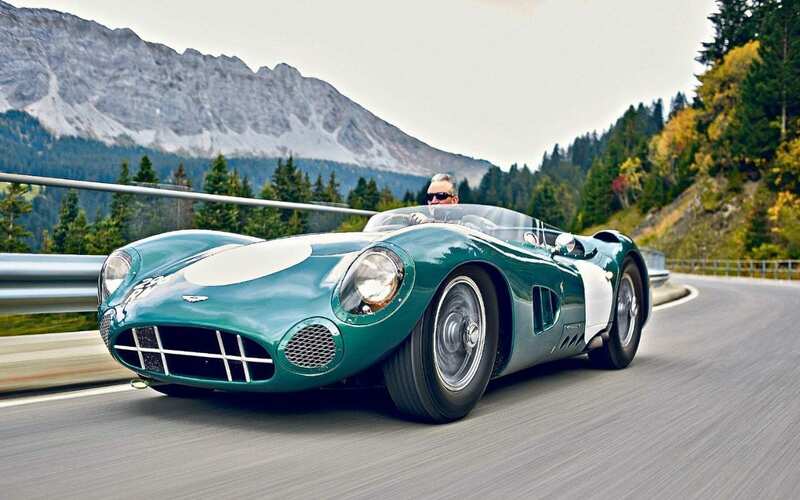 The car brand Aston Martin DB III was selected for the hero of his seventh novel about James Bond - Goldfinger. In subsequent screen adaptations of novels by Ian Fleming used the DB5 silver, which can be seen in Goldfinger (1964) and Thunderball (1965), and the V12 Vanquish in "Die Another Day." In the 2006 film "Casino Royale" James Bond drives a Aston Martin DBS, «men», very powerful car. For a machine was invented special paint Casino Ice - gray with a deep blue hue. The crew managed to smash three cars for one day of shooting. The company issued about 300 such instances, the price of one - over 250 thousand dollars. The car Aston Martin can be found in the film by Alfred Hitchcock Birds. Also the car was introduced in the movie "Marriage under the will" (in the 1st season for Aston Martin went Sandra Harper). In 1993 Kylie Minogue recorded the song «Aston Martin». Hero Rowan Atkinson in the movie Johnny Inglish (2003) controls the DB7 Vantage. 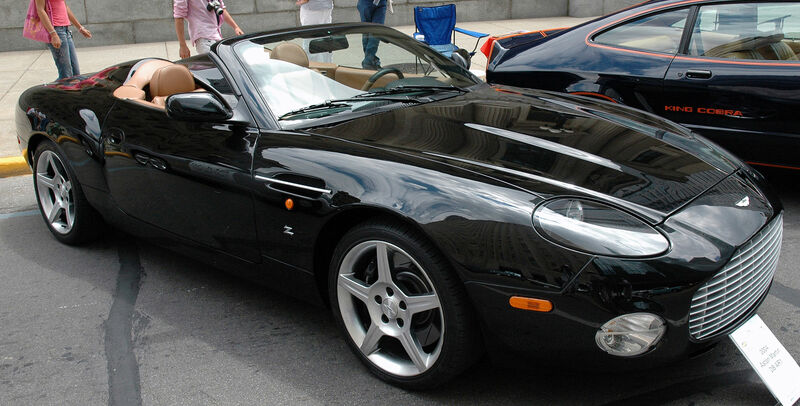 In the series "Desperate Housewives" character Gabrielle Solis travels to dark cherry Aston Martin DB9 Volante, a hero Ben Faulkner at exactly the same car azure. American hip-hop artist Rick Ross, with the participation of Chrisette Michele and Drake recorded the song «Aston Martin Music» and took on her clip. The composition was the fourth single from the album «Teflon Don» which was released June 20, 2010. The game Need for Speed: Most Wanted (2005) have Aston Martin DB9, becoming available for purchase in the preparation of the 7 th place in the Black list. In the cult British TV series The Persuaders one of the two main characters Brett Sinclair goes on «Aston Martin DBS / 5636 / R» color "Bahamian-yellow."